On the eve of IWD2017, I’ve had the honour of joining Mums In Technology to celebrate a new cohort of women graduating from the baby-friendly coding school — the very place where my own learn-to-code journey began just 18 months ago. As a young woman, I pretty much thought gender inequality was something we’d very nearly busted — as girls we were raised to have ambition, to pursue our goals and achieve. In my early career, that was true. I never thought twice about competing with male counterparts. I wanted to be top of the game. I could see there weren’t many female leaders around, but I thought ‘hey — things are changing and we’re a new generation, right?’. But it wasn’t long before motherhood was on the cards. And then I understood. Nothing has changed. Our expectations of men and women in their respective role as parents has seen very little shift. Shared Parental Leave is now ‘A Thing’, but it’s nearly two years on since it’s introduction in the UK and barely 4% of men are taking it up. Childcare is still seen as mainly a woman’s domain. The knock-on impact of that? Part-time workers = women. Stay-at-home-parents = women. And all of us have been guilty parties in perpetuating that. We are now living in a period of unprecedented innovation and exponential change with technology transforming pretty much every part of our lives. We have a unique opportunity to make things right. Except that … just 5% of the world’s leaders in technology are women. Let me recap — FIVE PERCENT. Yes, we are living in a time of exponential change — but exponential change, that is being driven by men. Many of them are young and have yet to become fathers; they are yet to experience what The Economist has identified as ‘The Man Trap’. 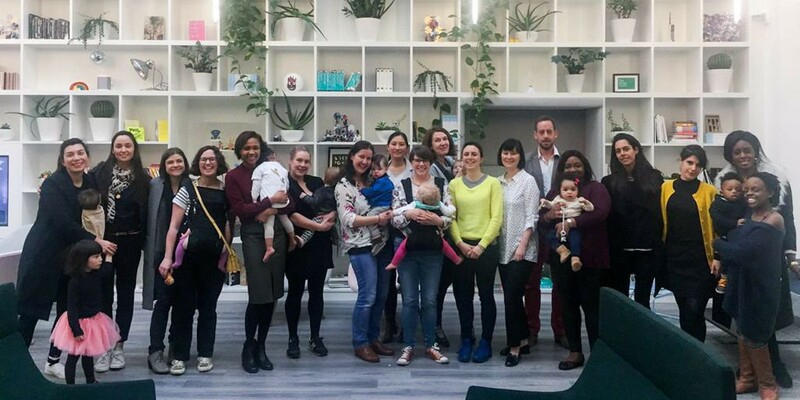 This is why we are fighting to create Happity as a tech startup with a difference — built by a team of experienced and talented mums, we are seeking ways to create remote, flexible work that makes sense both for business and for family life. I hope our journey will help inspire a lost generation of tech startup leaders from the many ambitious stay-at-home mums I know are out there. If you are one of them, understand that you have the power to Be The Change. Because you have learnt what gender inequality means. Don’t wait for the next generation of girls — they don’t know what you already do.